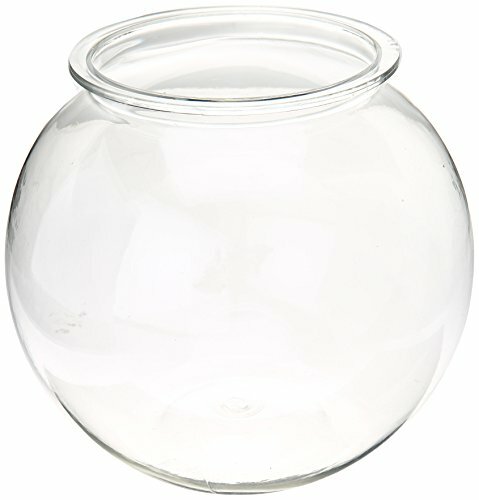 This 1.5-gallon fish bowl is perfect for home decor; centerpieces, weddings, and crafting or your favorite betta fish. Made of sturdy, shatterproof plastic with crystal clear clarity so good that most people think it's glass. Accentuates any event, weddings, parties, or home decor. Dimensions: 9" Diameter x 8" H.